New to the Authentic Style Series? Read about it here. Hmm...when Amy first contacted me about my style I had to stop and have a little think...because I actually love many different styles...but I think ending up here in this old cottage near the sea, my style has evolved to suit that...the lifestyle here in Australia, the climate and the amazing colours and beautiful scenery all around us. 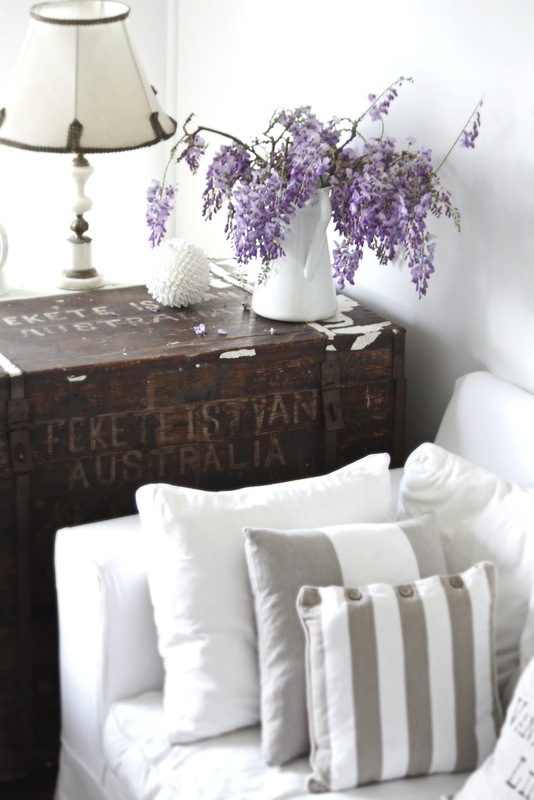 The key elements of my style are a white backdrop, dressed up with vintage things and pops of colour with flowers, heaps of soft furnishings, the odd ruffle and polka dot and things from nature..I just love to bring the outdoors in....plus I also have a hearty love for a nautical stripe in this old cottage! 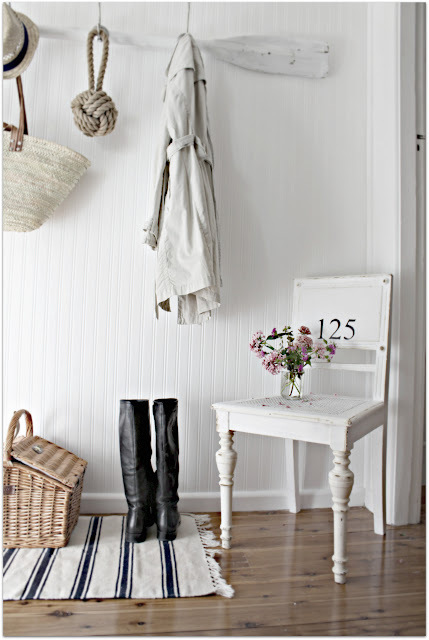 The picture of my hallway is my style all over...an old oar that I found whitewashed and turned into a coat rack, and an old chair picked up from the side of the road, cleaned up painted white, stenciled with my fave numbers and a great place to throw your bag on when you come in! 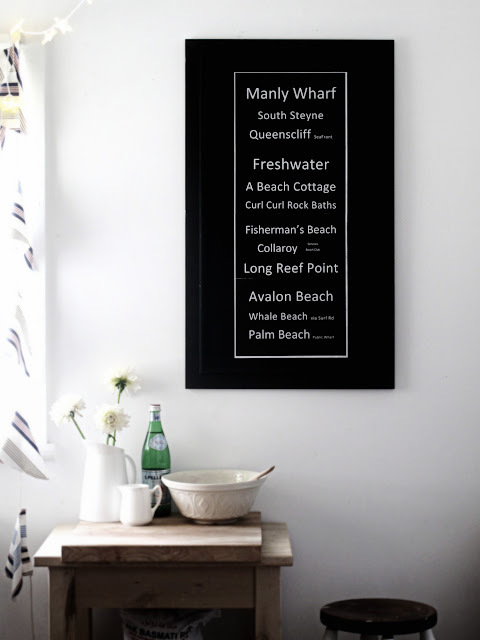 The artwork in my kitchen captures everything about my style...I made it myself from an old thrifted frame and picked out all the names of local beaches around here that I pass as part of my day-to-day life...it personifies for me the huge seachange we took on from London to Australia and every time I look at it it makes me smile! 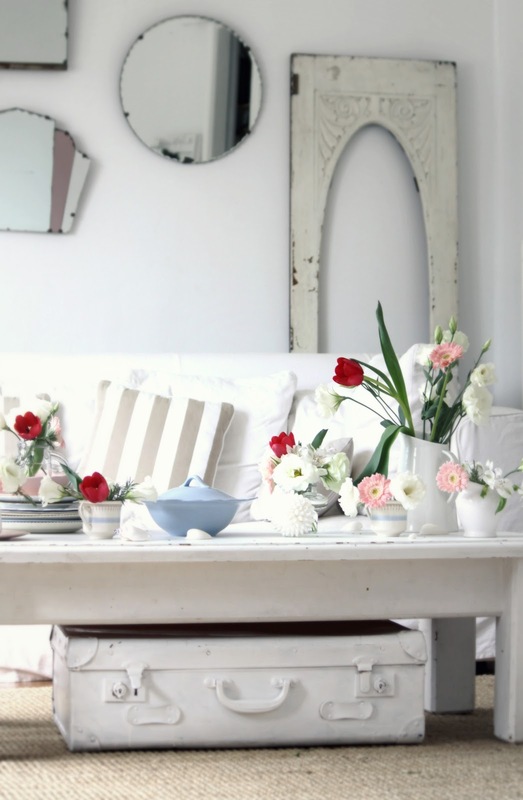 I love this shot of my dining room...I often get asked how I can stand to live with so much white...but honestly I don't think that I do because I always have flowers, things collected from the beach, oh and 3 children in here keeping it real! This shot shows my love of pops of colour, vintage finds and rustic texture working together for the look I love. This picture of my Sitting Room shows what I mean about comfort and authentic style...an old vintage suitcase painted white, a big old soft and poofy sofa that is getting so old now I think it knows the curves of my body, and an old pine coffee table painted white and displaying my some of the vintage china I collect...of course stuffed with flowers! 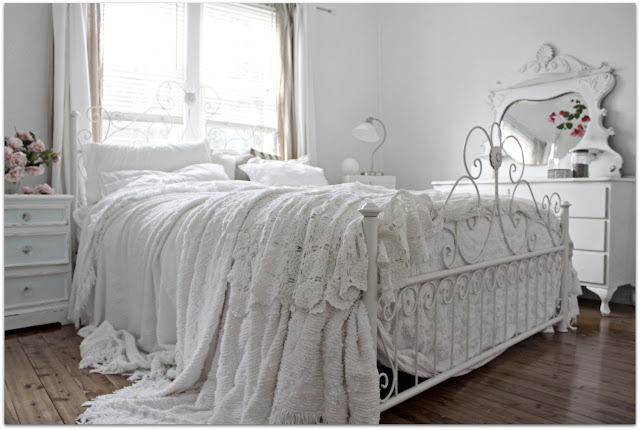 Seriously...isn't her home the dreamiest? Sarah is one of the first bloggers I started reading just over three years ago. It's the combination of her style, her personality, her photos, and her Australian vocabulary that continually make me smile. 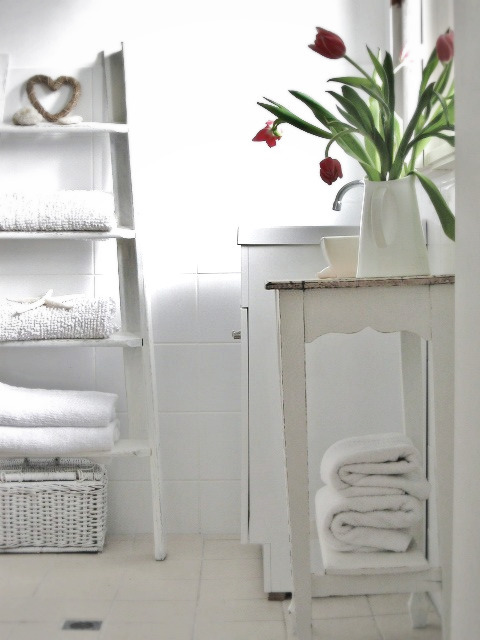 As a fellow lover of cottage style, we share a passion for vintage items. Thank you, Sarah, for sharing your authentic beach cottage style with all of us here at WhisperWood Cottage. You are an inspiration to bloggers throughout the world. Join the Authentic Style Series! 1. 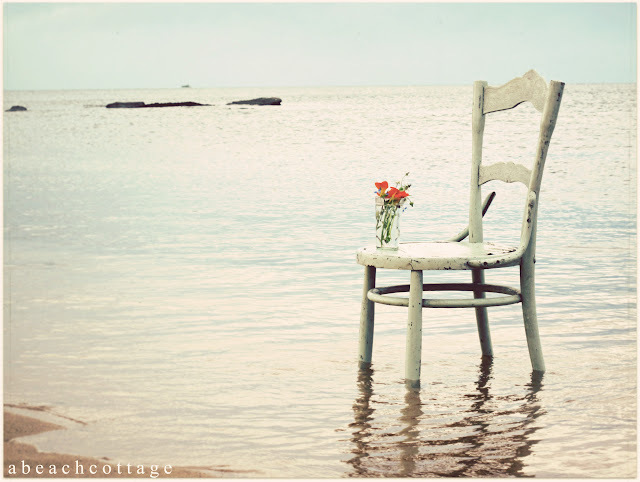 Become a follower and/or subscriber of WhisperWood Cottage. been expressing your authentic self! 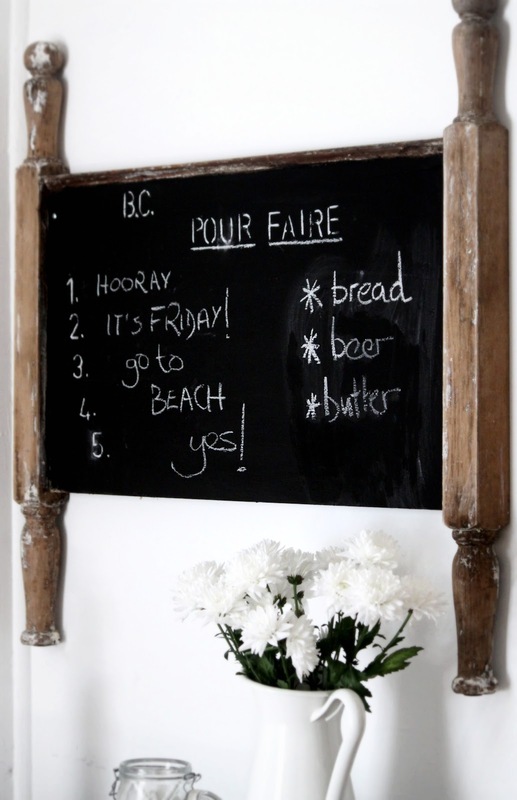 projects that are authentically you! Thanks for hosting the fun hop. Can't wait to see what else gets added. I've followed her blog for awhile and really love her style. One of my favorite things she does is use little pops of red against all that cream and white. It's a beautiful thing. 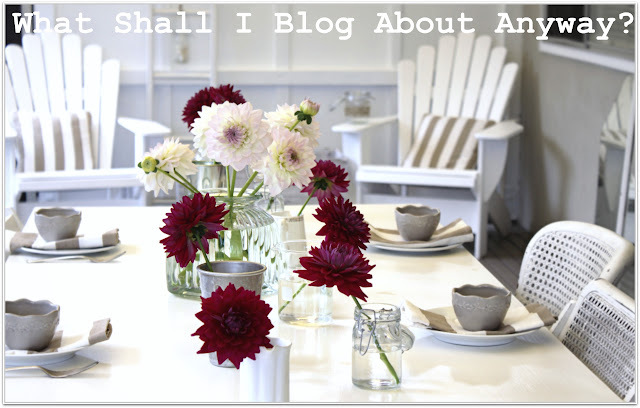 I finished my blog makeover to reflect my authentic style so I linked it up. It may be a bit of different kind of link up but it's certainly authentic and I'm so happy I made the changes. It's definitely me. I've been reading Sarah's blog since I discovered blogging also. Always a treat to go by and see her wonderful photos and dream of visiting Australia one day! I have just joined your blog, love your style and flair. Thank you for sharing it with everyone! 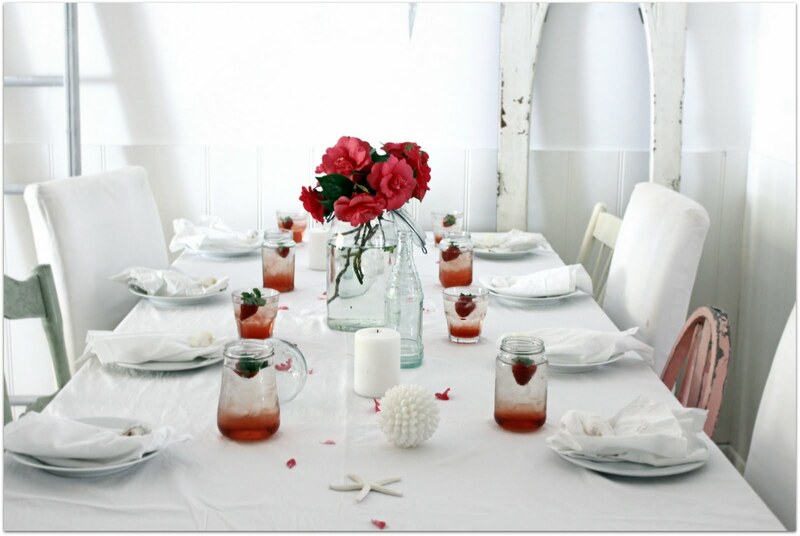 thanks Amy for sponsoring another great link-up - Sarah's home is so dreamy - I love it! Sarah's blog was my first blog I followed like many of your readers. It continues to amaze me with her uniqueness and own sense of style. Would love to spend a day with her and see her life for real. :) What a treat that would be.